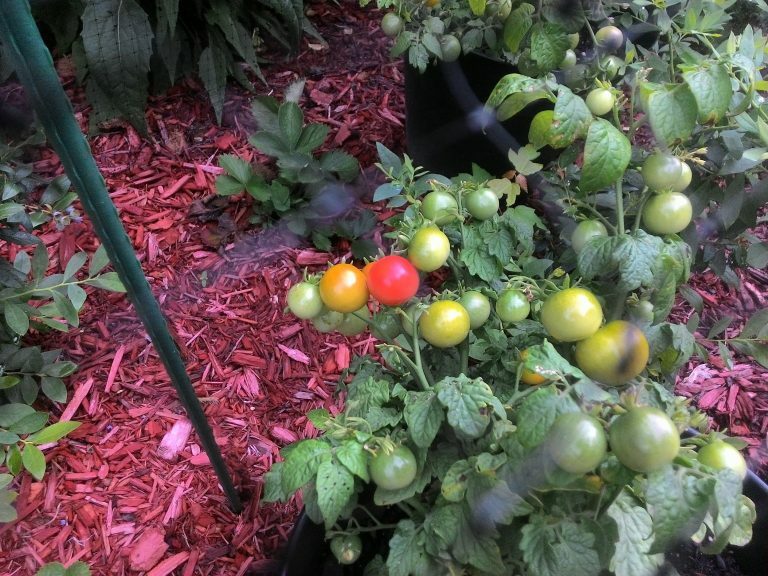 A day after the squirrels and some birds had a party with the Tiny Tim Cherry Tomatoes we moved them inside of a protected area. The cherry tomatoes are doing great, possibly because of the hot summer temperatures arriving a few days ahead of the season, and after a mixture of slow fertilizers. Read more about some of the edibles that are currently growing in the garden.